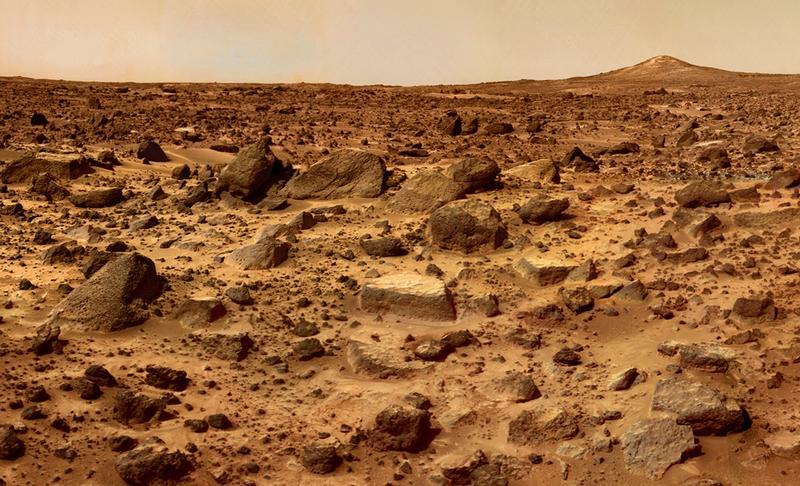 Mars may have once harbored an oxygen-rich atmosphere—some 4 billion years ago. According to data collected from the Spirit rover on Mars, and martian meteorites found on Earth, the difference in compositions suggests a more oxygen-rich atmosphere existed all those years ago. The findings come as more and more evidence reveals water almost definitely existed at some point on the Red Planet. Perhaps Total Recall isn't completely fictional. "What we have shown is that both meteorites and surface volcanic rocks are consistent with similar origins in the deep interior of Mars but that the surface rocks come from a more oxygen-rich environment, probably caused by recycling of oxygen-rich materials into the interior," said Professor Bernard Wood. If indeed Mars did once have an oxygen-rich atmosphere, Wood said the planet would have been wet, warm and rusty because of its oxidation (which gives Mars its distinct color)—up to a billion years before Earth, too. The findings estimate the area Spirit analyzed is possibly up to 3.7 billion years old, while the meteorites studied here on Earth are around 1.4 billions years old. Scientists attribute the varied geological composition of Mars to a subduction process, which "recycles" material in Mars' interior; when a rock gets drawn into a shallow region and then shot back out through a volcanic eruption. At this point, it's unclear if there's a link between oxygen and previous alien life.